Take a bite out of Fairfax City during the 2nd annual Fairfax City Restaurant Week! Get to know our diverse, independent and evolving culinary scene. 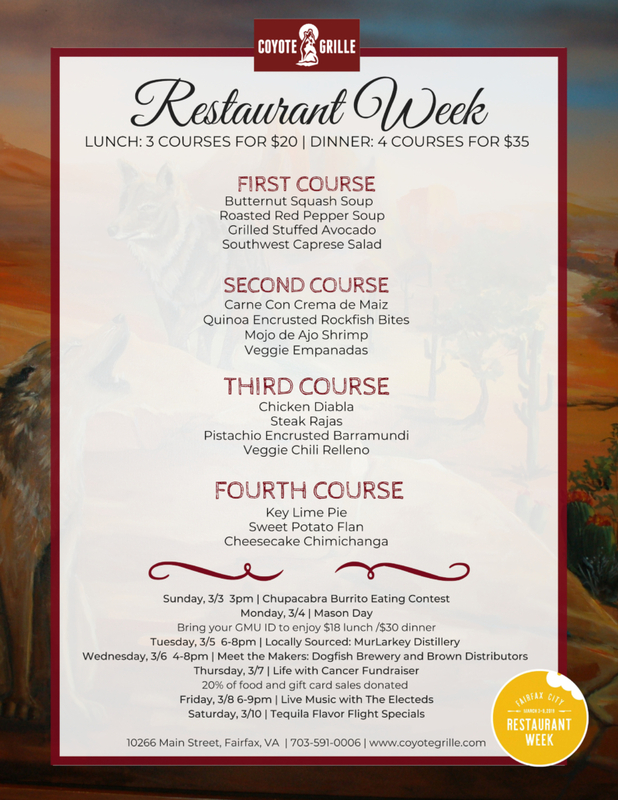 Dine out at participating Fairfax City restaurants March 3 through 9, 2019 for special value 4-course dinner for $35 per person, 3-course lunch offering for $20 per person, as well as special events all week. Here is what is in store at Coyote Grille!! Wednesday, March 6th – 4-8pm – Special Guests – Dogfish Brewery and Brown Distributors.